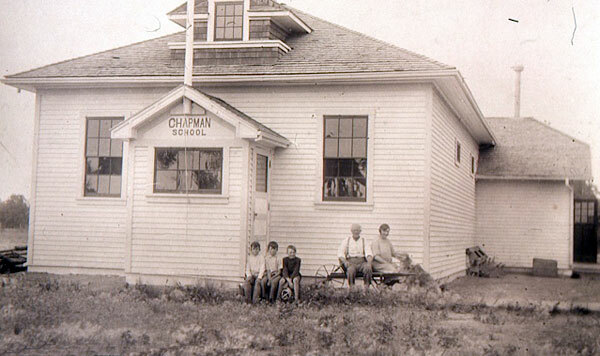 The Chapman School District was established formally in May 1913 and it operated a school near this site in the former Municipality of Charleswood, now a suburb of Winnipeg. 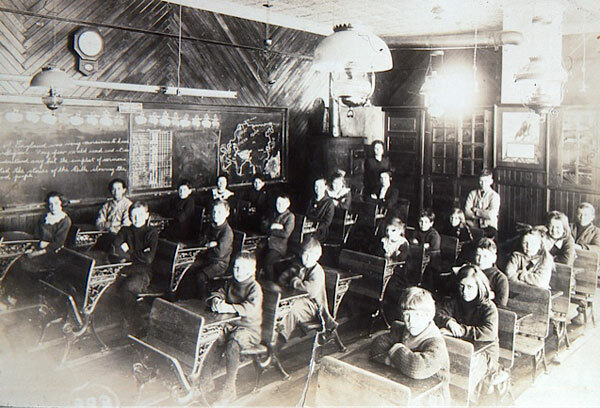 The original school building was destroyed by fire in 1916. Its replacement, a three-room school, burned down on 23 April (Good Friday), 1943. Movable furniture and around 2,000 textbooks were spared from the flames by firefighters and local volunteers, including local K. Goodison who reportedly made 50 retrieval trips into the blazing building. Following an affirming 175:44 vote by district residents, construction was undertaken by the Claydon Construction Company on a new Chapman School upon the former buildings site. Excavation work for a full basement already underway by November 1943, and the cornerstone of the new six-room school was laid down before the years end. The brick and frame structure cost around $45,000 and was officially opened 30 September 1944, with noted attendees including C. K. Rogers (Superintendent of Education), Harry Leader (MP), and H. A. Lowden (school trustee). 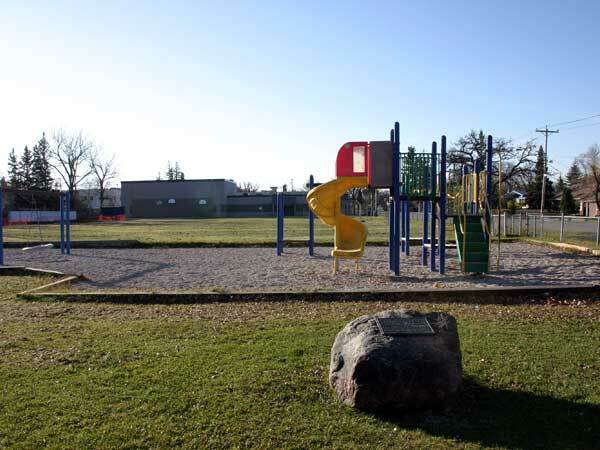 In 1951, it became part of Charleswood Consolidated School No. 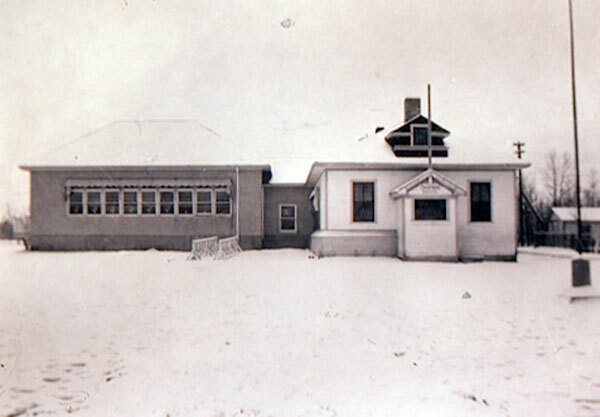 2327, and in 1955, high school grades were transferred to the the newly opened Charleswood Collegiate. A commemorative plaque mounted on a rock at the northwest corner of the school’s property was dedicated in June 1993 by the Chapman School Parent Council. The school closed in June 2016, shortly after receiving an MHS Centennial Organization Award. As of early 2017, the building was under lease to the Westgate Mennonite School for use as temporary classroom space during a renovation project. Miss Shawna Bradley, Mrs. MacGregor, ? Miss Shawna Bradley, Mrs. Kozak, ? Miss Shawna Bradley, Mrs. Jaeger, ? Miss Shawna Bradley, Mrs. Karen Kroft, ? “Along the home front [Chapman School],” Winnipeg Free Press, 1 May 1943, page 3. “Vote to replace burned school,” Winnipeg Tribune, 19 October 1943, page 13. “Building has already begun on new Chapman School,” Winnipeg Free Press, 9 November 1943, page 16. “Cadet Corps inspected at Tuxedo on Friday,” Winnipeg Free Press, 19 May 1944, page 2. “New Chapman School attractively designed,” Winnipeg Free Press, 20 September 1944, page 2. “Will attend opening of new Chapman School,” Winnipeg Free Press, 27 September 1944, page 3. “Charleswood’s new school opened,” Winnipeg Tribune, 3 October 1944, page 3. “H. McIntosh addresses Home and School group,” Winnipeg Free Press, 12 April 1945, page 2. “Charleswood … Then and Now” by Brian Tinley, Oakwood: Charleswood Collegiate Yearbook, 1955-1956, page 36 [Charleswood School Library]. “Charleswood lists teachers,” Winnipeg Free Press, 6 September 1954, page 3. Manitoba School Records Collection, Chapman School District No. 1677 - Daily Registers, GR10356, Archives of Manitoba. Manitoba School Records Collection, Charleswood Consolidated School District No. 2327 (Chapman School) - Daily Registers, GR10356, Archives of Manitoba. Obituary [Jessie Ellen Morton], Winnipeg Free Press, 17 May 1995, page 34. We thank Len Van Roon, Jill Paskewitz, Alan Mason, Steven Christianson, Ted Fransen, Karen McCreary, and Don Cochrane for providing additional information used here.